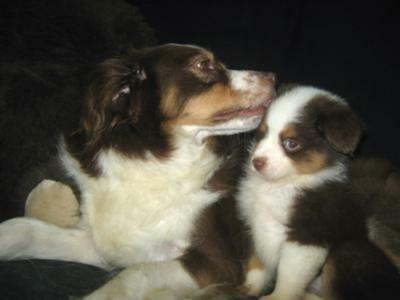 This is Lilly, a red tri Mini Aussie with her mom Shena Rose. Lilly is an absolute joy who loves to play 24/7. We got her when she was 8 weeks old and we cant imagine life without her.